We love our Sun Country Department Leaders! This team of motivated individuals help to lead our staff daily as we stress our Sun Country mission, vision and core values. Feel free to reach out them individually if you have a specific question about one of their departments. 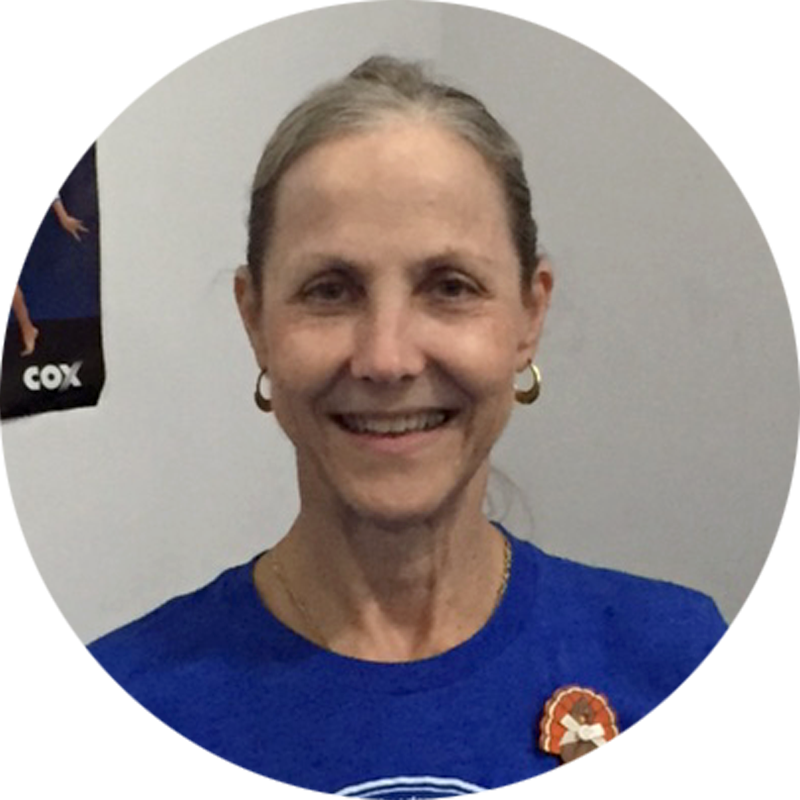 Linda was raised in Miami and moved to Gainesville with her husband to go to UF in the summer of 1971. They both loved the area and knew they would eventually return. Linda and Phil Bennett moved their family back to Gainesville in the summer of 1986. It was then that Phil urged Linda to open a gym and offer something new to the area. 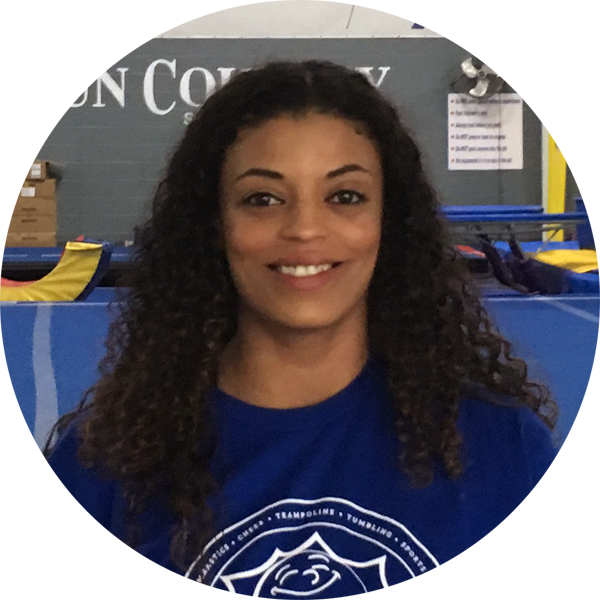 With a degree in Early Childhood Education and 6 years of teaching pre-school and pre-school gymnastics experience, Linda took on the challenge. 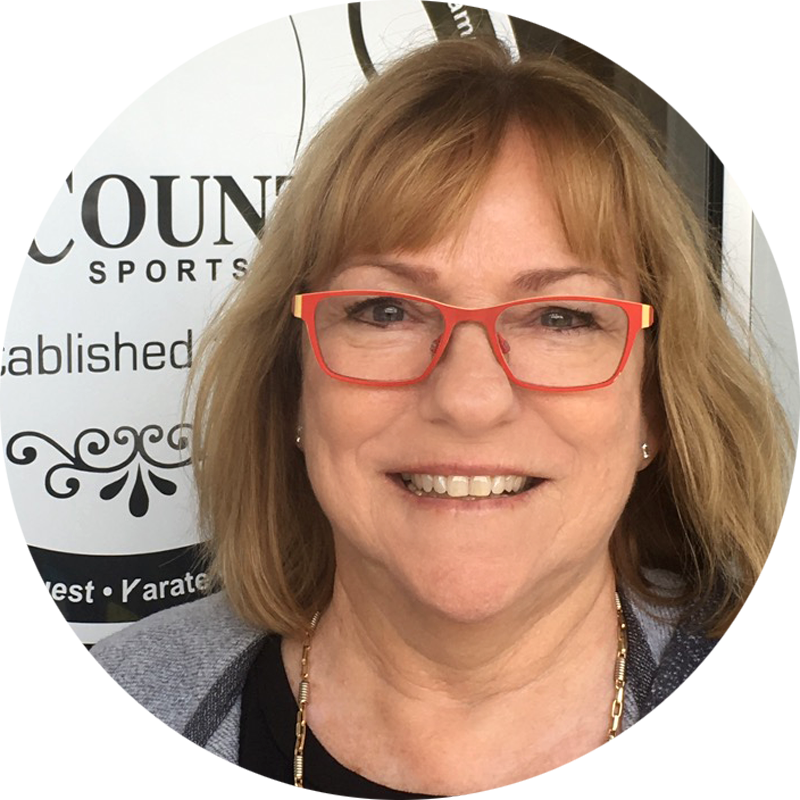 With her family’s help, she opened Sun Country Sports in 1987. 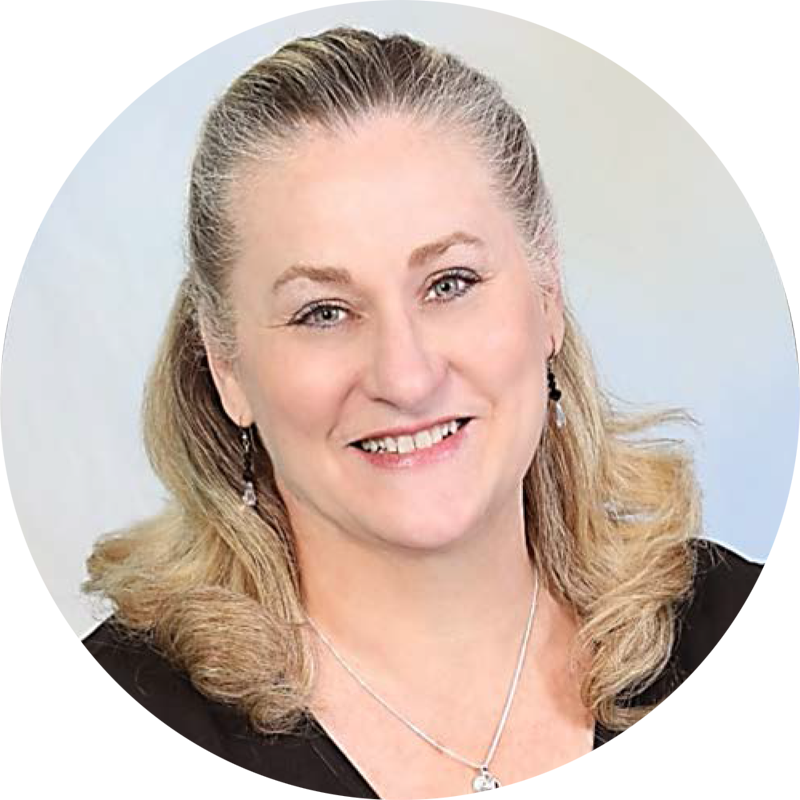 Linda has remained active and involved in running every aspect of the business while also being involved in community leadership. She was a member of the Leadership Gainesville Class of 36 and is currently a member of the Leadership Gainesville Alumni Association. She has mentored thousands of staff, business owners, and children in the 30 years that Sun Country has been opened. Her dedication to building healthy, strong babies has been unwavering; together with her staff and family, she has led Sun Country’s effort to raise over one hundred thousand dollars for the March of Dimes over the years. Phil attended the University of Florida, receiving a B.S. degree in chemistry. He continued his education at Purdue University to receive a Ph.D in chemistry. Phil moved his family to Gainesville in 1986 when he got a job developing advanced batteries for General Electric (GE) and later Energizer. While working for Energizer, Phil often appeared as the Energizer Bunny during various community fundraisers. In 1987 Phil challenged Linda, his wife, to open a gymnastics school. Phil continued to work as an industrial research and development chemist during the day but helped-out in the evenings and weekends while Linda and their children built Sun Country. When Energizer closed their Gainesville operation, Phil became an assistant chemistry professor at Santa Fe College. Although not actively involved in the day-to-day operation of Sun Country, Phil is currently involved in negotiating major equipment purchases and strategic and financial planning for Sun Country. In addition, he oversees the operation of Sun Country’s facilities, serving as its building engineer and enjoys playing practical jokes on staff and family. He is an alumnus of Leadership Gainesville, active in the Florida Education Foundation, serves as a student mentor, and judges local, regional, and Florida state science/engineering fairs. He remains active in advanced rechargeable battery R&D by consulting for several start-up advanced battery companies and delivers lectures on rechargeable batteries domestically and internationally. Jodi started competing in gymnastics when she was six years old. 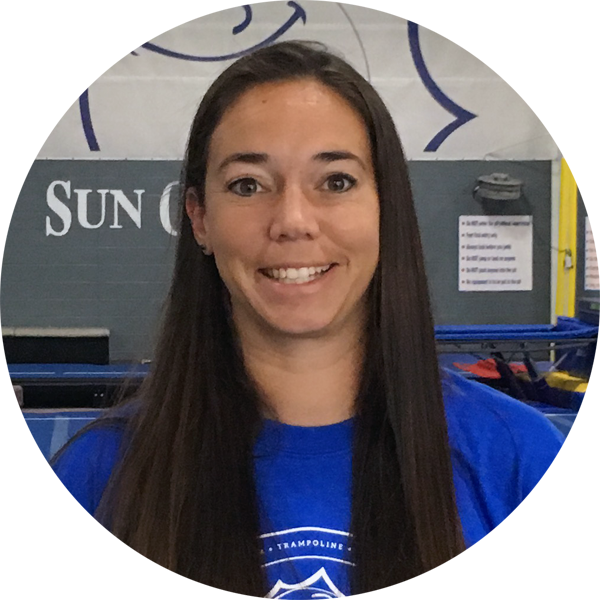 At 14, she began coaching at Sun Country and that same year started competitive cheerleading. Jodi also danced for 4 years while in high school and college. 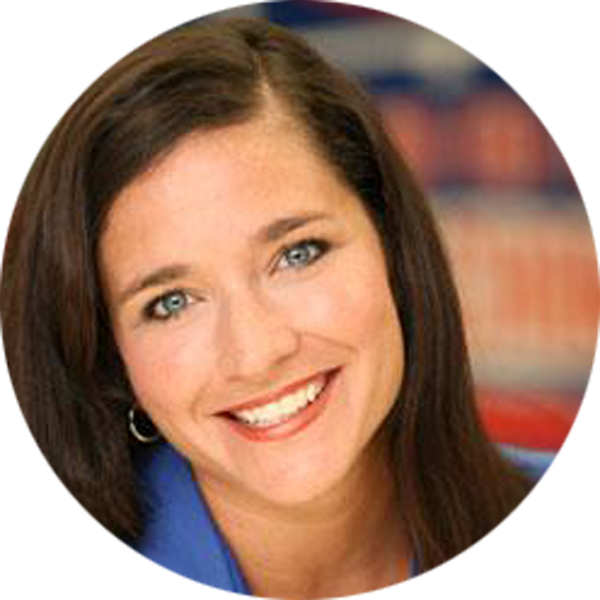 She graduated with honors from UF in 1999 with degrees in marketing and economics. Since then, she has been involved in many managerial aspects of the business: bookkeeping, Gym Bus, birthday parties, and Day Camp. Currently she manages operations at Sun Country West and leads the company’s marketing department. Jodi has 2 young boys who both love coming to Sun Country. In her free time she enjoys swimming, biking and running with her husband. Judy Benton currently serves as the Director of DANCE Sun Country, as well as the Artistic Director of the affiliated non-profit performing company, Sun Country Dance Theatre, which she founded in August 2008. Ms. Benton’s vast experience as a dance instructor, choreographer, dance studio manager, arts administrator and Artistic Director spans over 40 years. She has studied in New York at the American Ballet Theatre school, Joffrey Ballet School, and Luigi’s Jazz Center, as well as attending countless workshops, dance intensives, and master classes with many greats of the dance world. While her husband served in the Air Force, she was Director for the Youth Center Dance Program at Blytheville Air Force Base, Arkansas, dance instructor at Mississippi County Community College, and taught at numerous private studios in Arkansas and Panama City, Florida. She has taught community education dance classes at Santa Fe College, has choreographed for the Dance Theatre of Santa Fe, and been a guest teacher for the Florida Dance Association’s Florida Dance Festival on Tour, and for Floridance at the University of Florida. Ms. Benton’s students continue to receive scholarships to study at some of our nation’s most prestigious dance programs and intensives, including American Ballet Theatre, Joffrey Ballet School, Orlando Ballet, Central Florida Ballet, Atlanta Ballet, Next Generation Ballet, Miami City Ballet, and Alvin Ailey. Many of Ms. Benton’s former students have gone on to successful careers in the dance world, including professional dancers, teachers, choreographers, Broadway stage managers, stage directors, professional lighting designers, dance journalists, and arts administrators. Ms. Benton is passionate about continuing to share her love and knowledge of dance with future generations of dancers and the youth of our community. Jason was a student at Sun Country when the West location first opened and was in the very first FUNrichment After School class. He graduated from the University of Florida with a bachelor’s degree in Sports Management. Jason is also a musician and taught high school marching band for many years. He specializes in playing the trombone. 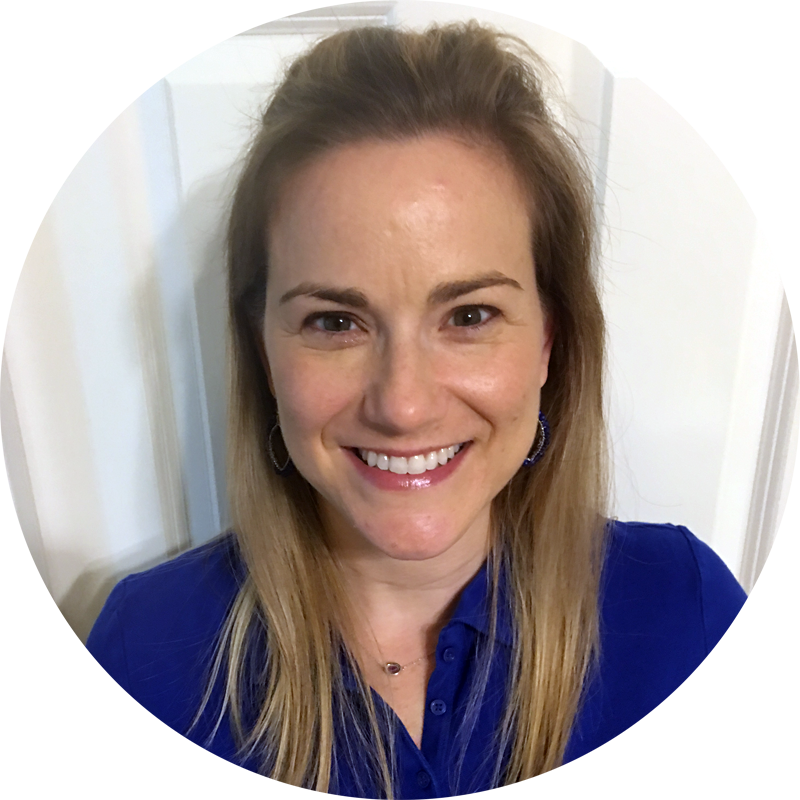 Erin joins us with years of experience as Childcare Director with the YMCA in both after school and summer camp. She is so excited to join the Sun Country family! Erin is the mom of three amazing kiddos. She loves spending time with them and her husband of nearly 16 years! Erin also loves taking pictures and working with stained glass when time allows. Mary was a competitive gymnast for 14 years. She was a Level 9 Regional Qualifier – 2nd Place Beam and All-Around, and a Level 9 National Qualifier. Mary graduated from UF with a Masters in Exercise Physiology. She loves everything sports & fitness and was the men’s varsity coxswain & team captain for the UF Crew Team. She is also a huge Tampa Bay Lightning fan! 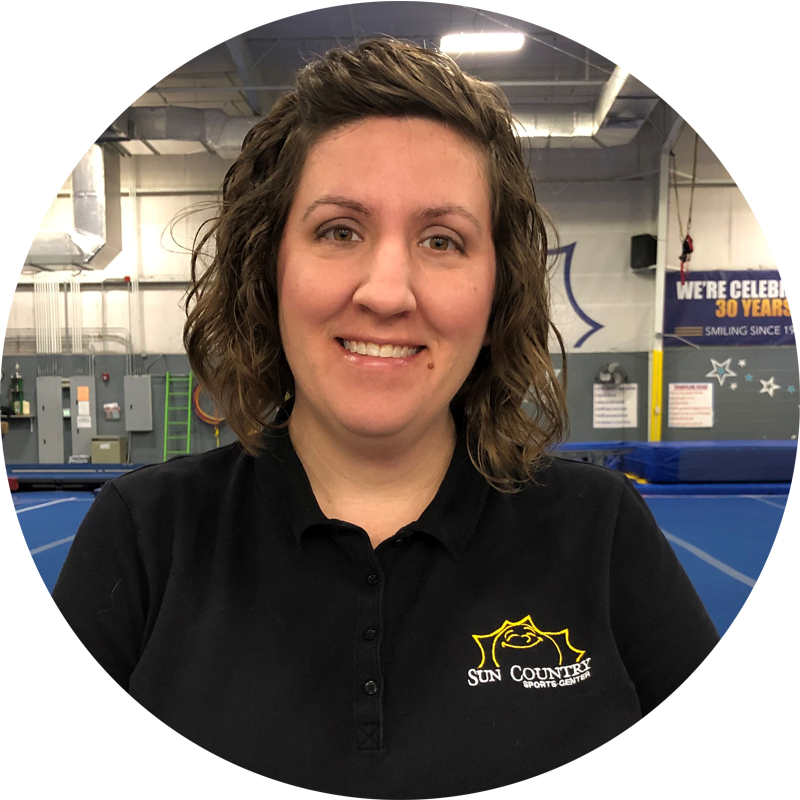 Sarah was a gymnast and a cheerleader for 12 years before she began coaching at Sun Country. She began coaching in her senior year of high school and quickly decided that coaching was her passion. She was also a preschool teacher for 2 years before deciding to dedicate all of her time to Sun Country. Sarah is engaged and has a beautiful daughter named Kinslee who is her pride and joy. She enjoys taking her daughter to music class and swim class and can’t wait until she’s old enough to do gymnastics herself! Sarah loves what she does and could not be happier with where she is in her life right now! 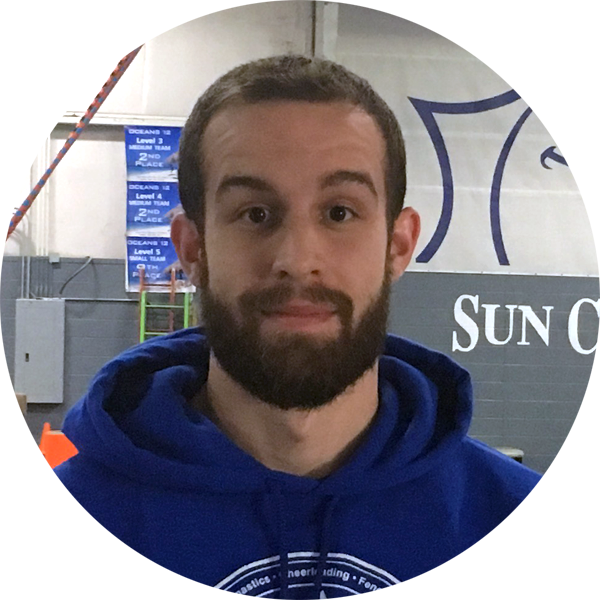 Zach trained with Sun Country as a gymnast for 8 years before moving on to coaching. 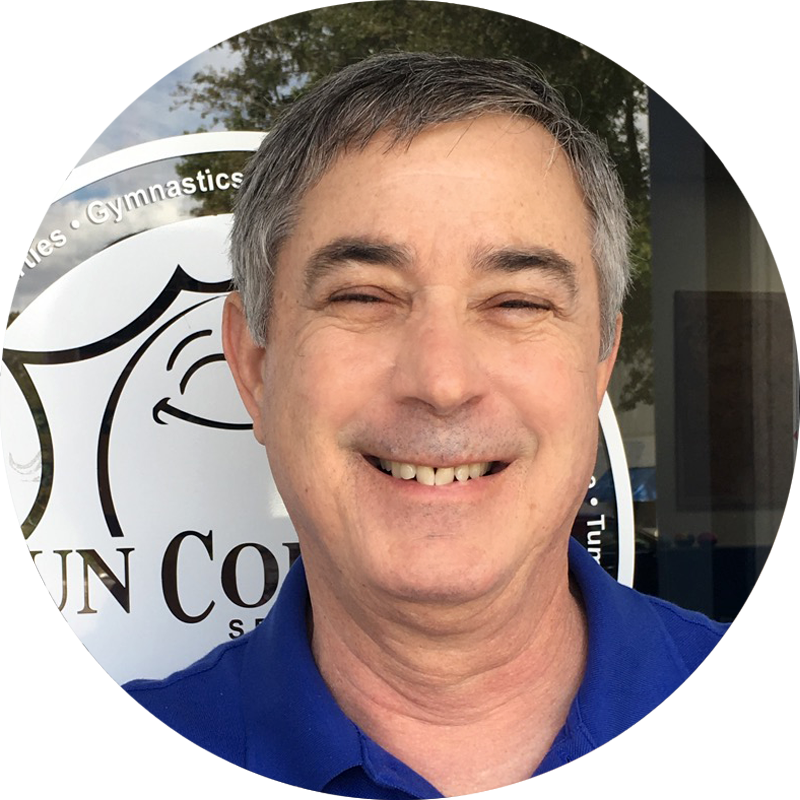 In addition to his position as director and head coach of AAU Gymnastics, he also coaches USAG boy’s gymnastics, and women’s compulsory and optional teams. 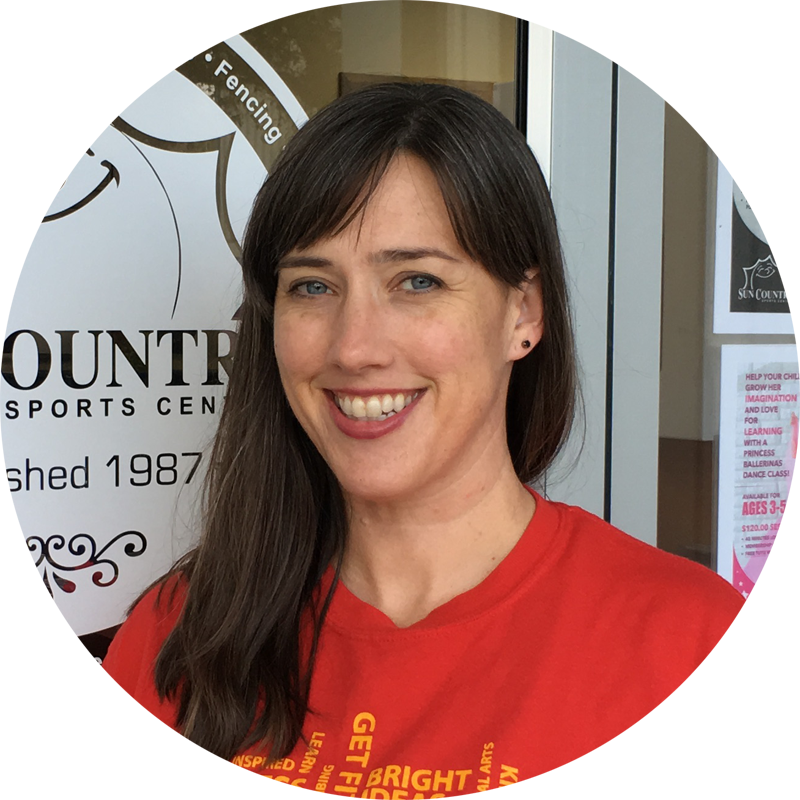 Michelle started at Sun Country as an afterschool counselor and bus driver. 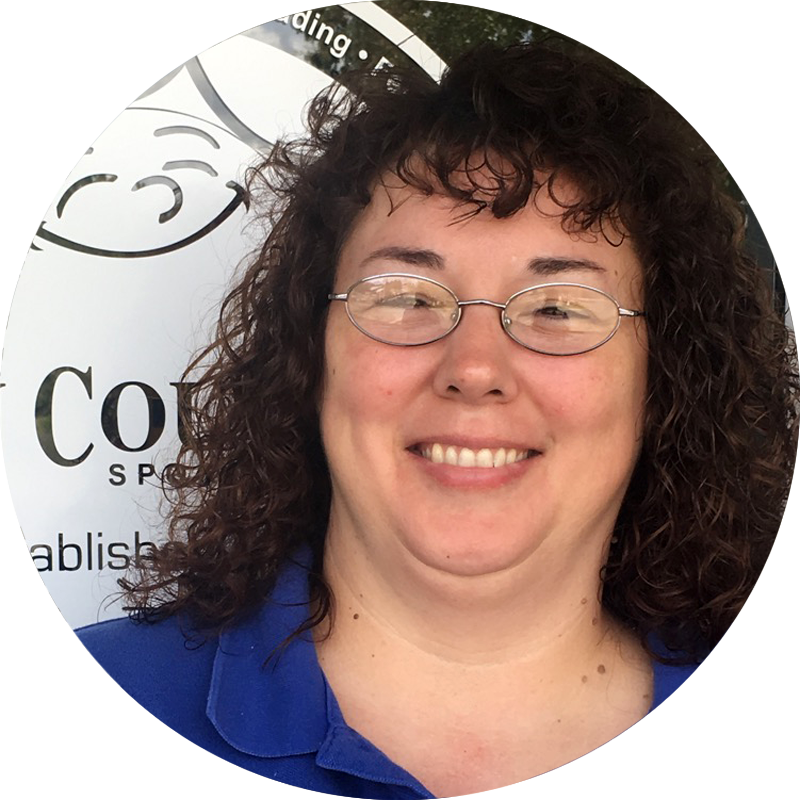 She became the office manager for the Millhopper location in 2005 and the following year became the bookkeeper at the West location. She is also a field trip & special guest organizer for our Afterschool and Camp programs, and she directs the Apprentice programs for both. Michelle has been married for over 20 years, has 3 children and one granddaughter. Michelle has been a Girl Scout Leader for over 15 years. She also volunteers as a Girl Scout Leader trainer in the Gainesville area. She loves helping the community and watching youth become great leaders. She also loves camping, scrapbooking, reading and making crafts. Angela received her associate’s degree in Elementary Education and went on to get her Staff and Director’s credentials in Child Care. She loves teaching preschool and has been working in the child care field since 2008. Angela also co-founded the non-profit Yopp! Inc in 2008, whose mission is to create community through events that inspire creativity and the empowerment of youth. In her down time, Angela stays busy with her two active daughters and enjoys spending time with her family outdoors. She is happy to have the opportunity at Sun Country to bring her passion of working with children and community together. 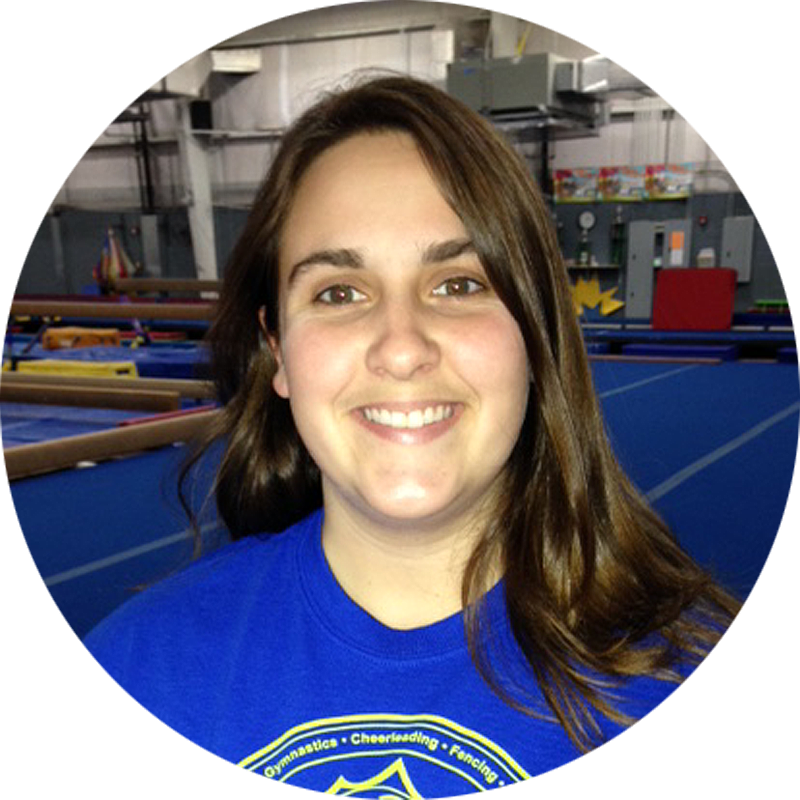 Katelynn was a Level 8 USAG Gymnast and a competitive cheerleader until high school where she began her coaching career. After graduating high school she when to college to become a teacher. 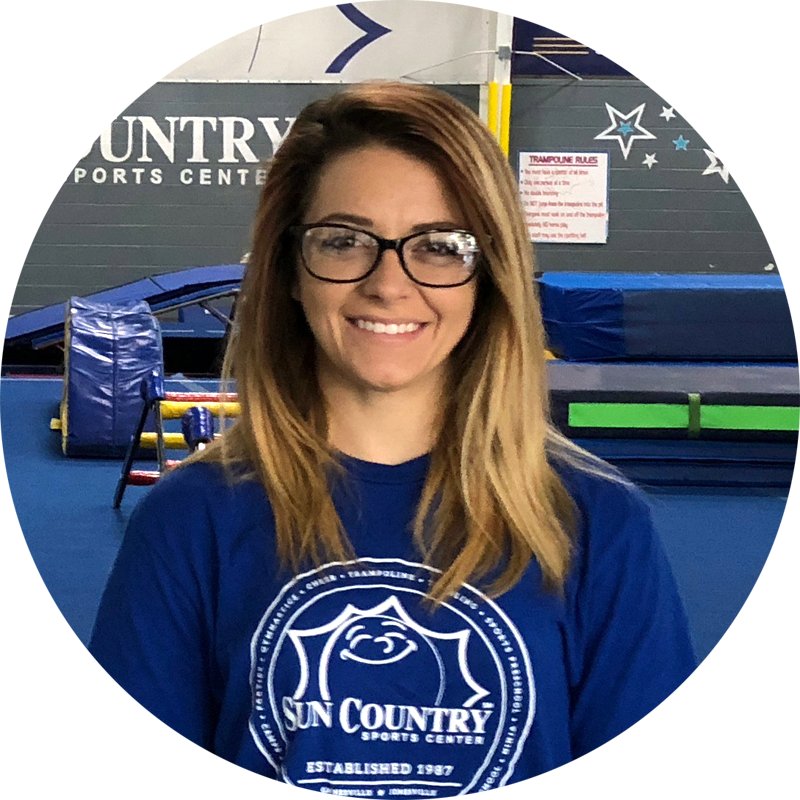 Katelyn was a classroom teacher in Texas for 3 years where she realized how much she missed gymnastics and changed her career path. 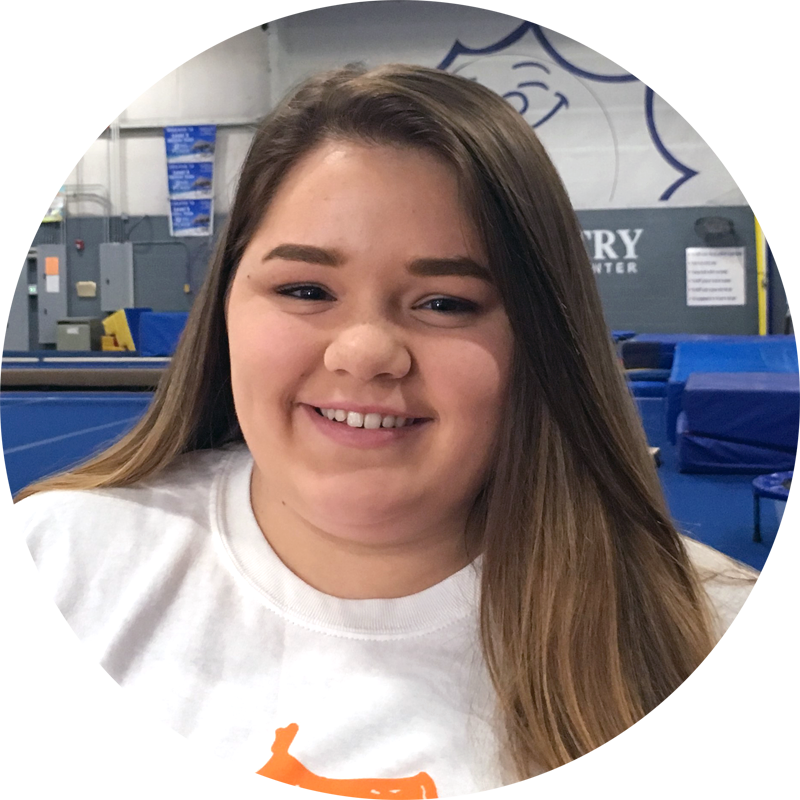 Katelynn regularly competes in weightlifting and CrossFit competitions. She also frequently races in mud runs! Mikey worked in residential camp administration from 2002-2010, and has experience facilitating a range of instructional activities from horseback riding and over-night camping expeditions to sailing and rock climbing. He was Camp Sunny director from 2011-2015, and has worked in a number of Sun Country departments over the years. 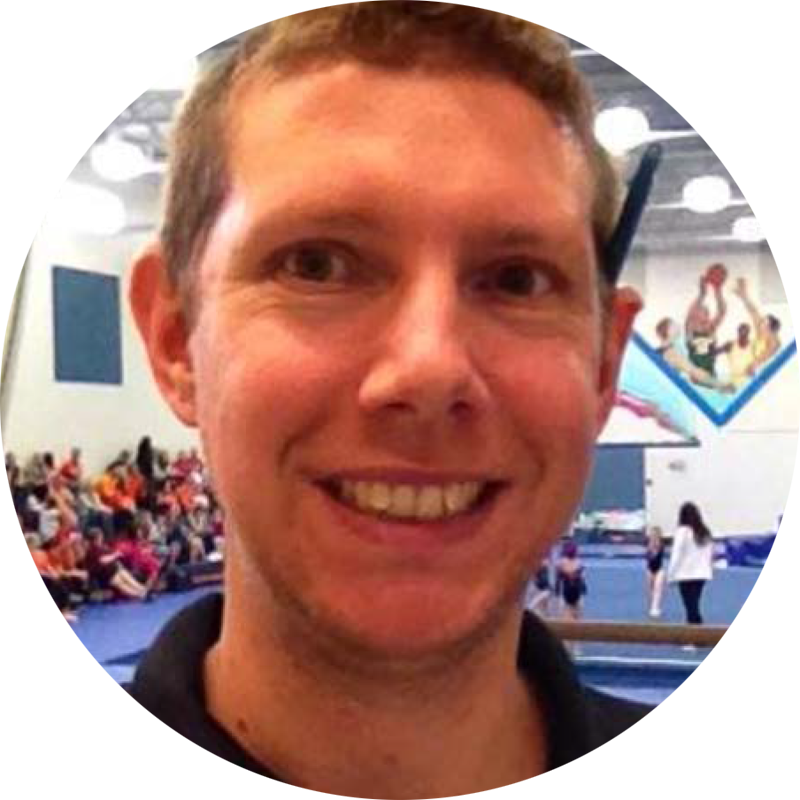 He has attended three American Camp Association National Conferences, holds American Red Cross certifications in Lifeguarding, Professional CPR and First Aid, and is a USAG certified Meet Director. Mikey enjoys anything in the outdoors including: riding, fishing, camping, and watersports. He also plays djembe and has performed with the University of Florida African Dance ensemble, Agbedidi. Brian worked for 29 years in the maintenance department of a school system in Michigan. He is the owner of a small engine repair shop in Bronson. Brian loves to spend time with his family and outdoors. Debe came to Gainesville to go to school in 1976 and never left. She started teaching gymnastic in 1979 and went to Brown’s Gymnastics in January 1982, which was then bought by Sun Country in 1989. She had planned on being either a Kindergarten or Elementary P.E. teacher but realized that what she was doing was the best of both worlds, and she is still teaching and loving preschool gymnastics 35 years later. Debe is also an Aerobics and Fitness Association of America (AFAA) certified Group Fitness Instructor who loves working out herself. She enjoys spending time with her grandchildren and just being at home on their five acres in the country. Debe has been married for over 35 years, they have 2 sons and 4 grandchildren. Her kids and grandkids are the joy of her life! Kerri is a former Notre Dame 4-time All-American soccer player, and 2-time Hermann Trophy winner. She is also the Varsity soccer coach at Buchholz High School. Kerri enjoys going to the beach with her husband and two sons and watching Gator sports. Candi has been involved with cheer for over 25 years. She is a former UF cheerleader and started the first cheer program here at Sun Country! The team was very successful and went on to win several national championships. Over the years, Candi has also served as Head Coach of the UF Cheer Team and is still involved in UF Cheer. She also works with Varsity All Star here in Gainesville. She returned to Sun Country in 2017, excited to continue the success of Team Spirit All Stars. 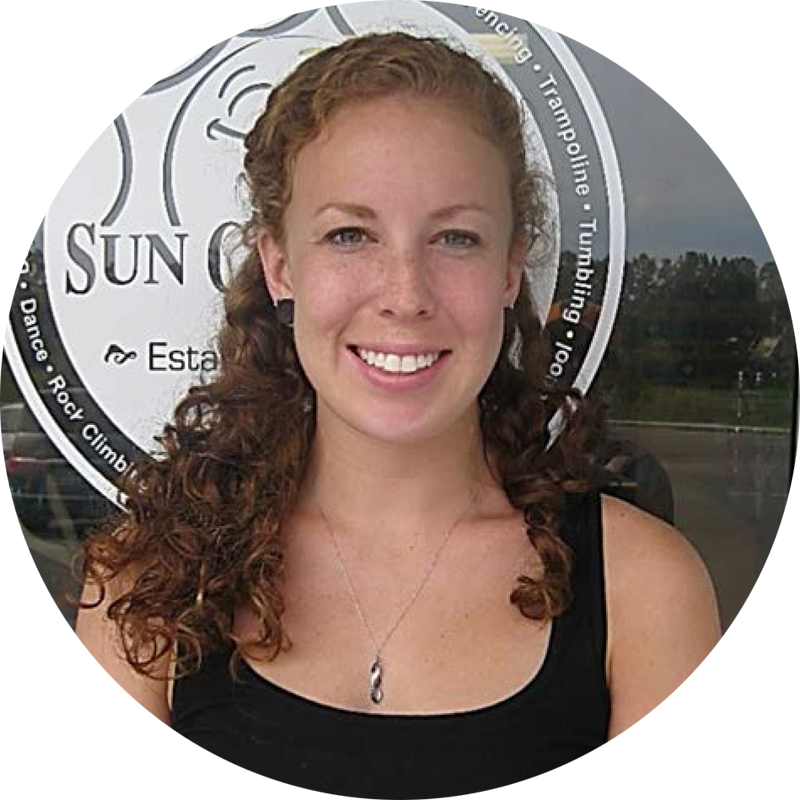 Claire graduated from UF with a Bachelors degree in Recreation, Parks & Tourism. She was previously an intern for the Youth Development Division at the March of Dimes and continues to volunteer and fundraise for Sun Country’s March of Dimes’ Team. Claire represented Sun Country as a member of the Leadership Gainesville Class of 39 (Go Green!). Claire loves all animals, organizing anything and everything, traveling to old and new places and spending time in the sun! Alison has been involved in gymnastics and dance since she was 3 years old. She ran a children’s theater and went to school for theater and dance. She has over five years’ experience with preschool age music and gym classes. Alison has participated in community theater since she was 14, and loves dancing, singing, painting and reading. She is currently working on writing a series of children’s books. Daren graduated from the University of Florida with a Bachelor of Science in Psychology. 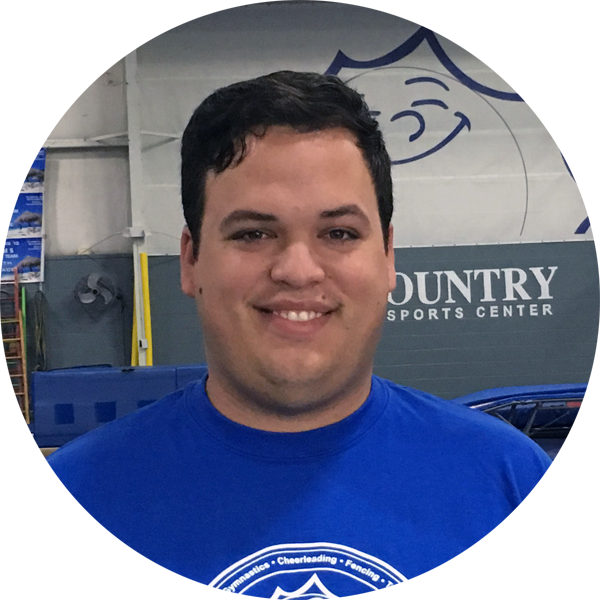 Before joining Sun Country Daren was an event supervisor at the Baughman Center at the University of Florida. She volunteers in her spare time with local community events and is a weekly volunteer at a local charter school. In her spare she enjoys spending time with her family and dog, Boston. She also enjoys reading, traveling, talking to people, and anything Disney. Chris has been climbing since 2013 and has climbed in gyms all over the country. He loves outdoor climbing, and his favorite place is Moab, UT and other areas around Albuquerque. Chris is returning to complete his degree in Biology, and has years of experience in restaurant management. Greg was a collegiate gymnast at Temple University majoring in elementary education. 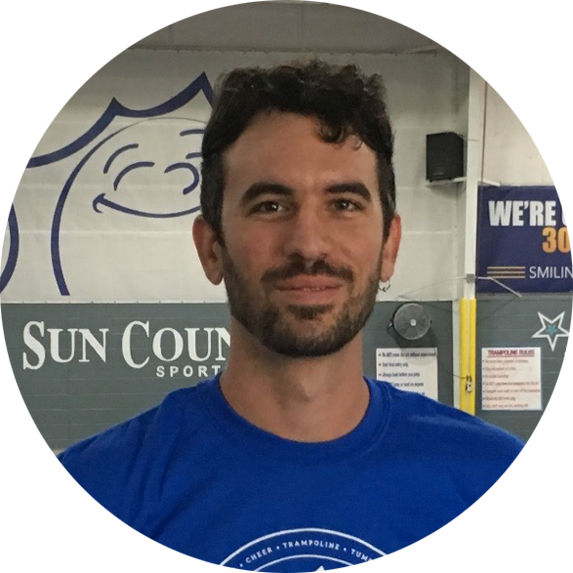 He worked for Sun Country after college and returned to our team in 2013 after coaching in other locations around the state of Florida. 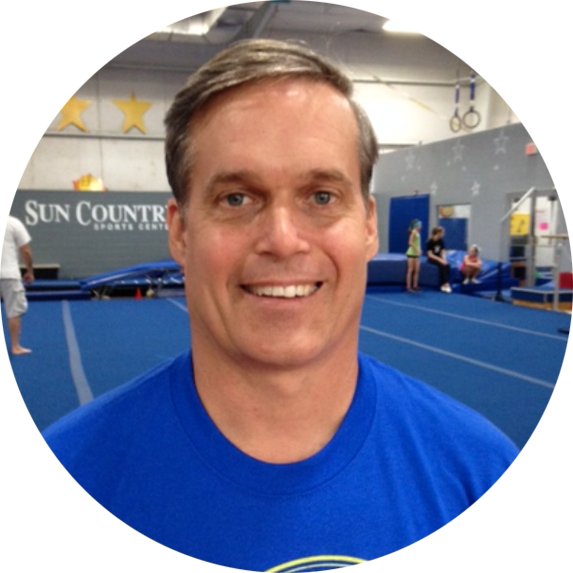 Greg serves as the USAG Florida Men’s State Chairman and Men’s Region 8 Elite Coordinator. 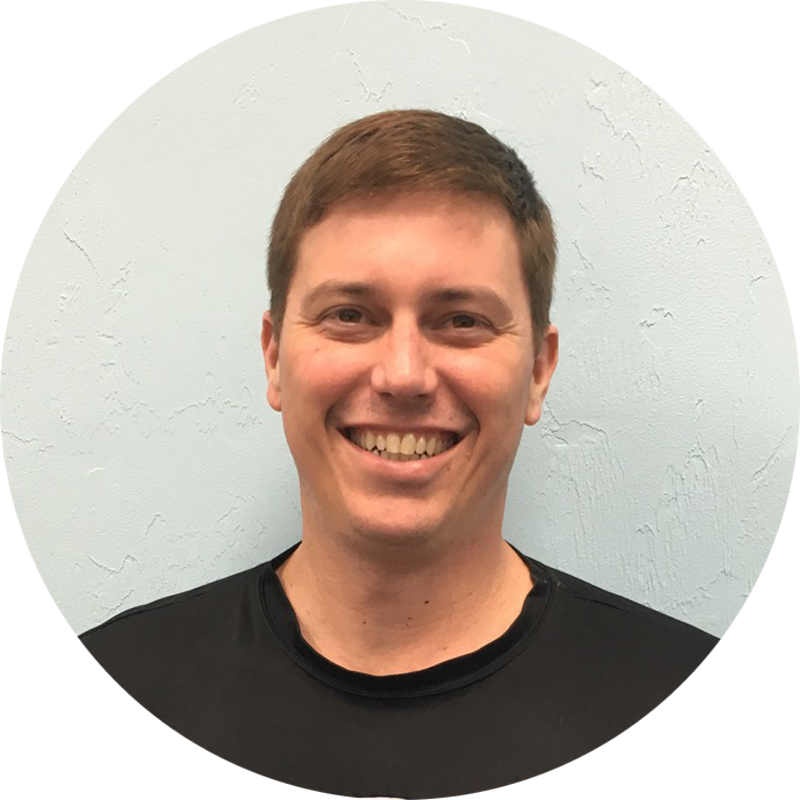 He is a nationally rated judge and a member of the state and regional Elite Coaching Staff. Greg also worked as a firefighter for four years and brings his EMT knowledge to our team. For every person to feel better about themselves when they walk out of our doors than they do when they walk in.  We strive to be the first choice in the area for active children, families and adults.